My mum often says to me that when I have a day off, it's important for me to really chill out and make the most of having time off. In todays' super busy world, especially if you are a blogger, it's so hard to define clearly time away from doing what you love and doing what you have to do. It's a given that rent, mortgages and bills have to be paid, and working full time is difficult when you have other hobbies and interests to juggle alongside them. I sometimes feel uninspired about blogging, especially if i've had a hard day at work, to then come home and spend an hour or two editing pictures and writing copy for posts can seem like a chore, and that's not what I want my blog to be. I love blogging and I never thought it would be easy; no real hobby that you want to make a success will get to that point without hard work and effort. I feel I owe it to the people who take time in their day to read what I write, and look at the pictures I post, to ensure that I try to blog at my best at all times; to make the articles I write of interest and hope that people will enjoy them. I've been blogging almost 5 years, and I remember the thrill I felt when I reached 10 followers. I never imagined then that my blog would be of interest to so many people, or that any of the opportunities that it has allowed me would materialise. I only ever started my blog because I love to write, and I like fashion, vintage clothing, charity shopping; and this has been a great creative outlet for me to share those things. Many's the time I've felt like giving up; I've almost deleted my blog more than once, but in the end I have to accept that, whilst it's not the best blog on the internet, it's my work, my effort and maintenance and that makes me feel proud! I feel I have definitely improved in my skills across the board since starting my blog, be they photography, styling, or charity shopping, and this blog is a great testament to that. I heard a really great quote recently; "Comparison is the thief of joy" and it's true, there's no point comparing my blog to anyone elses', because it's my blog; and I'm not like anyone else, so my blog won't be either! 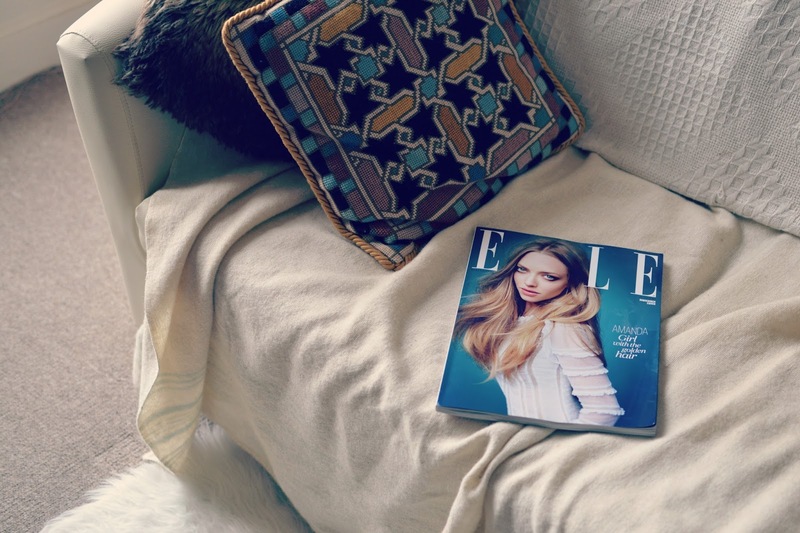 One of my favourite things to do is settle down on the sofa with a cup of tea and a good magazine and chill out, even for only half and hour, or the time it takes to drink my tea! This is important to factor in to each day, even if it's something that you find enjoyment in-reading a book, listening to a favourite song, having a relaxing bath. Find time, and if you can't, make time. How do you like to chill out?